In the late 1980s and early 1990s, new conservation challenges emerged as seminal architectural works of the Modern Movement reached fifty years of age thereby becoming eligible for heritage protection. Many of these buildings have not aged well. The new and innovative construction methods and materials that typify the era challenge traditional conservation approaches and raise new methodological and philosophical issues. Despite increased recognition of modern architecture's cultural significance, there is a lack of practical conservation knowledge that addresses the many complex challenges. Effectively tackling these issues demands leadership, strategic research, and the ability to broker with industry to develop appropriate repair techniques that translate research into practice and achieve conservation aims. A concerted effort to bring together and distribute existing information as well as identify and fill information gaps is also needed. 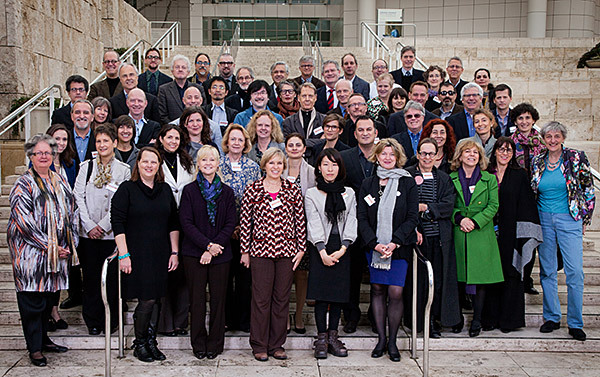 To begin to address these complex challenges, the GCI convened a colloquium of experts in the field in March 2013. This two-day event was organized around four themes: (1) Philosophy and Approach (2) Physical Conservation Challenges (3) Education and Training (4) Identification, Assessment, and Interpretation. The Day 1 was focused on presentations of background papers prepared for each theme. Each theme was further amplified by two case studies.